This post may contain affiliate links. Please read my full disclosure policy for details. If you’re sick and tired of losing your shrubs to deer, you’re going to love these 5 Bambi proof plants. Let’s make something clear: planting deer resistant shrubs will not make your garden 100% deer proof. If deer are hungry enough, they will eat just about anything. What it does is dramatically lower the odds that the local deer population will look at your yard as a tantalizing banquet. They will likely choose your neighbor’s bushes, shrubs and flowers over yours. There are plenty of plants that are beautiful visually and aromatically enticing, while also being naturally deer proof. 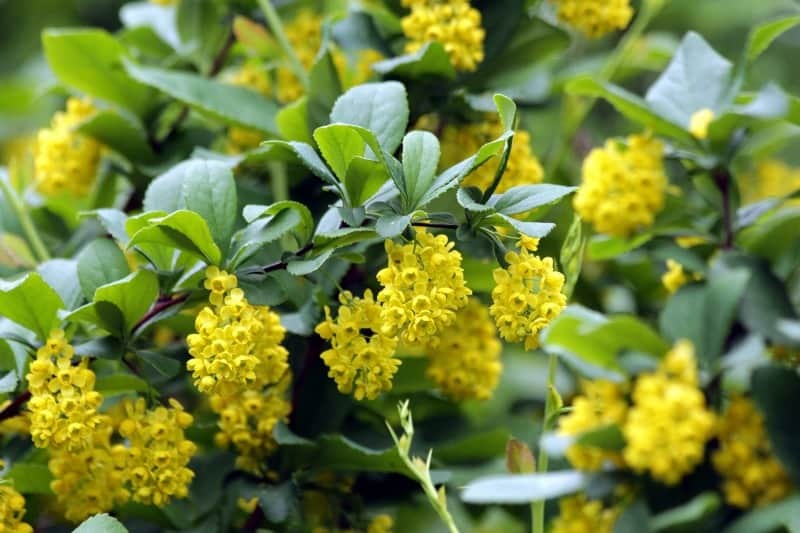 Many of these shrubs are hardy in nature and require very little maintenance. As long as they are exposed to the sun and watered regularly, they can keep Bambi at bay while at the same time decorating your yard. Before you rush out and begin hunting down the deer resistant shrubs below, you need to know your USDA Plant Hardiness Zone location if you’re in the United States. The Hardiness Zone map helps you determine which plants have the best chance of thriving in your environment. When shopping for plants, seedlings or bulbs, you will notice the offerings at your local nursery or an online store will be described as favorable for particular zones. All you need to do is make sure that what you are going to plant makes sense for the zone you are in (you can find that here). 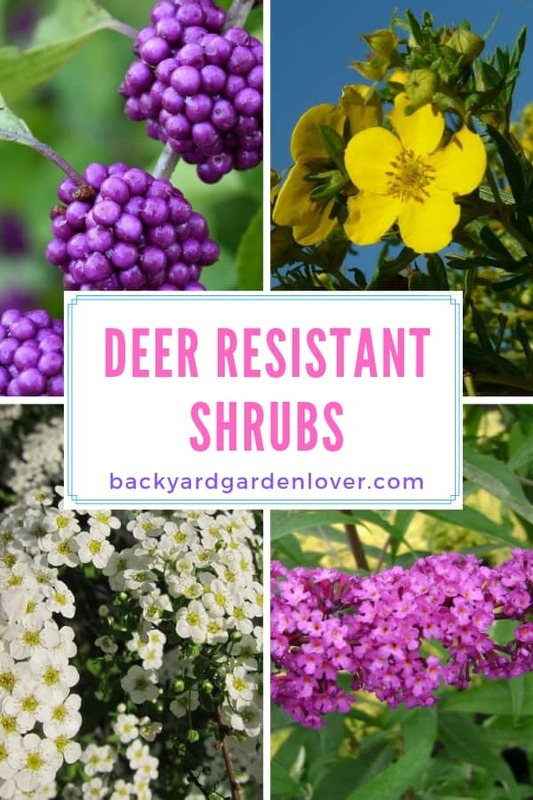 Once you know your zone, take a look at the 5 common deer resistant shrubs listed below. We have done some homework for you, and included which zones work best for each plant. As you can see, boxwoods are pretty versatile. They thrive in zones 4 through 8, which covers much of the United States. Let’s get started. Boxwoods often have a heavy but pleasant scent. 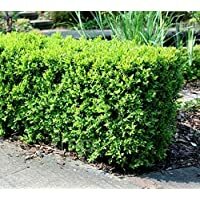 These shrubs come in many shapes and sizes, so you can just about guarantee you’ll find more than a few that are just right for your situation. The foliage on many boxwoods is glossy and rich green in color. These are broadleaf plants that are very hardy, and they are easy to prune. 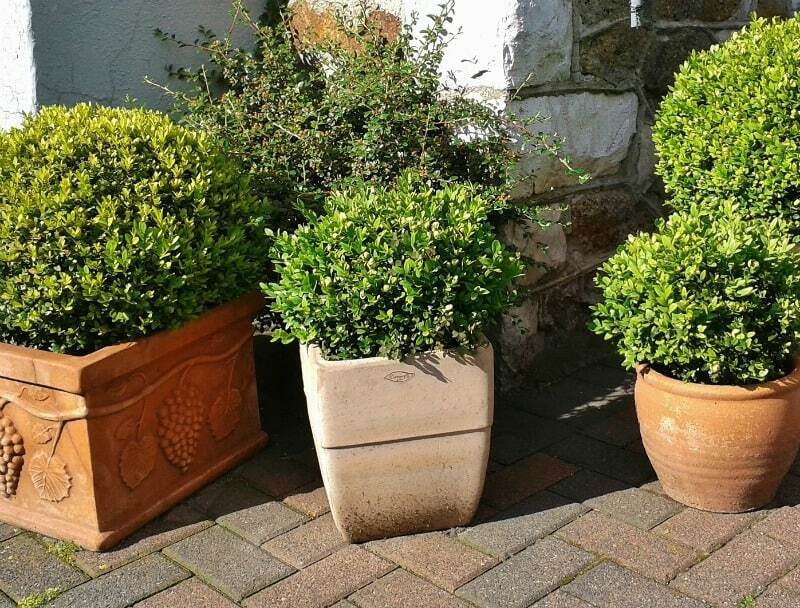 You can choose from four basic kinds of boxwoods – Korean, Japanese, English and American. 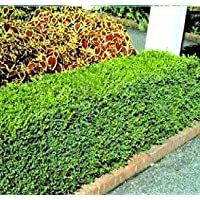 English boxwoods are the most common. They can grow up to 3 feet tall and you can expect a growth of about an inch per year. 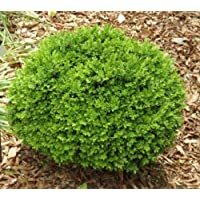 This evergreen blooms in the spring and produces a shape that is rounded and cloudlike. The American boxwood is sometimes called the common boxwood. It can grow to more than 10 feet in height. Korean boxwoods are not as dense as other varieties, and Japanese boxwoods can cover an area of 6 feet and reach a height of 8 feet. It is best to give your boxwoods a lot of water, but don’t water these shrubs very frequently. Plant them in sunny locations for the best results. Boxwoods have shallow roots, and adding mulch keeps the plants moist in hot weather and warm in cold weather. Plant your boxwoods in fall if you can, but spring works fine as well. Prune in winter. Deer prefer to eat bland plants. 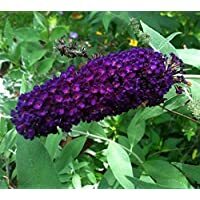 They avoid aromatic plants and bright colors, so the butterfly bush is the perfect deer resistant shrub. It attracts bees, birds and butterflies while fending off deer and other critters. These are treats to the nose. They put off a honey-like scent that is heavenly. 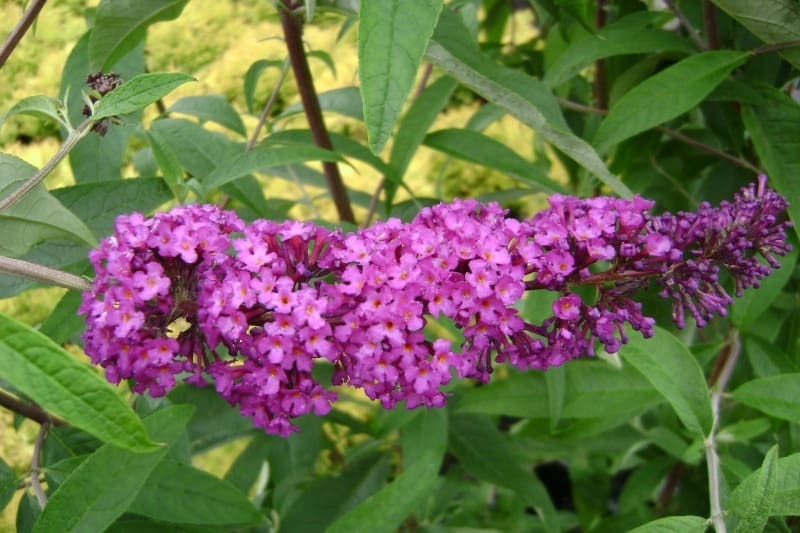 Expect butterfly bushes to bloom from summer to fall. These deer proof beauties can be found in white, purple, pink and shades of those color combinations. Some varieties produce orange or gold flowers. 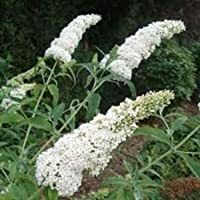 Be careful if you plant in a cramped area, because some butterfly bushes can reach a height of 10 feet and a spread of 15 feet. 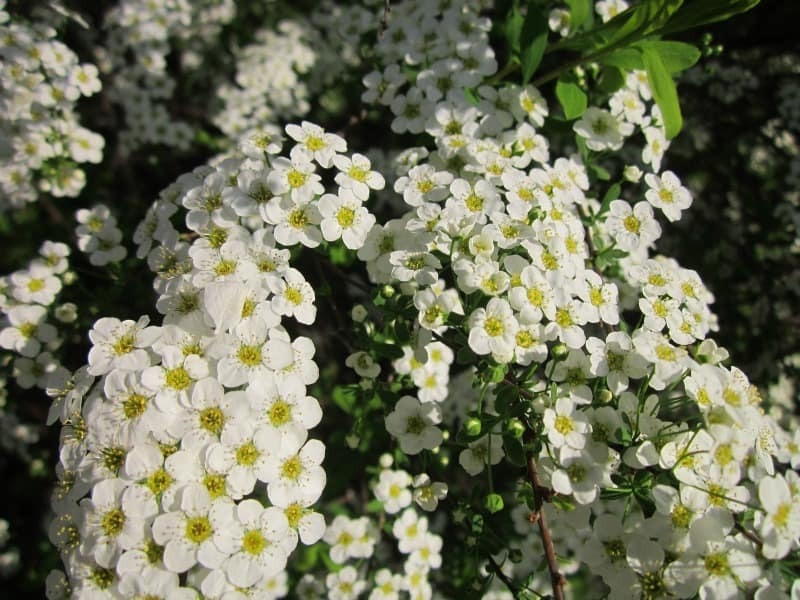 There are different types of spirea due to cross-hybridization. Your local nursery may offer varieties that are not usually found elsewhere. These are hardy plants and they are very easy to grow. You don’t need to take much of a hands-on approach with spirea; just plant and enjoy. A single shrub can grow as tall as 8 feet and as wide as 8 feet as well, and there are varieties that grow no higher than 2 feet. The best time to prune spirea is right after they bloom, usually sometime between the start of June and Memorial Day. If your spirea shrub becomes too big, you can cut it back all the way to the ground without harming it. Renaissance spirea plants make excellent hedges. 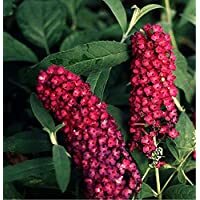 You can find varieties of spirea which produce pink, red or white flowers, and leaves are usually green or bluish-green. As deer resistant shrubs go, there might not be any better at producing beauty thought its entire blooming season. From June through September you can expect saucer-sized blooms. 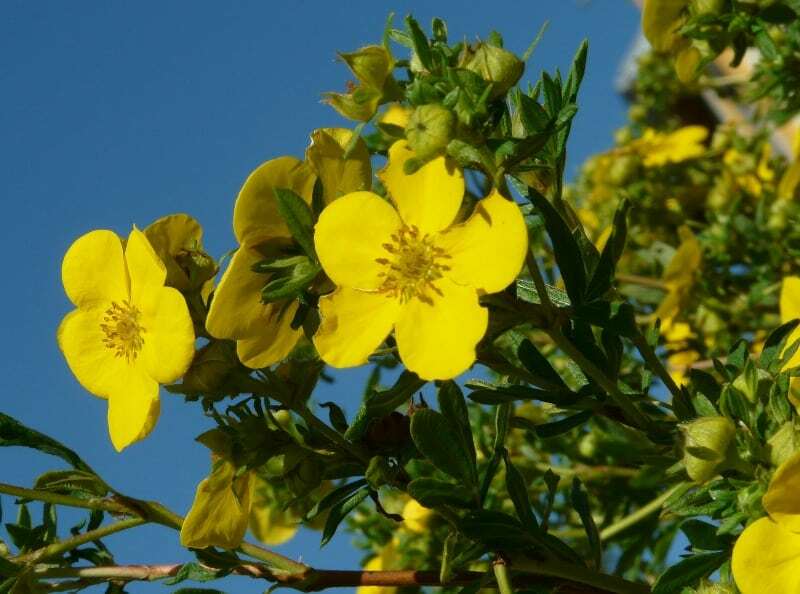 Deer, rabbits and other pests will ignore cinquefoil shrubbery in search of more palatable offerings. Lemon Gem is a variety that makes excellent ground cover and hedges. Expect magenta colored berries that bloom from fall to winter. Additionally, beauty berries are deer resistant shrubs that attract more than three dozen different species of birds. Flowers appear in lavender or pink colorations from about June to August, and this is a low maintenance plant which is very easy to grow. Stems are not as densely packed as some of the other plants on this list. 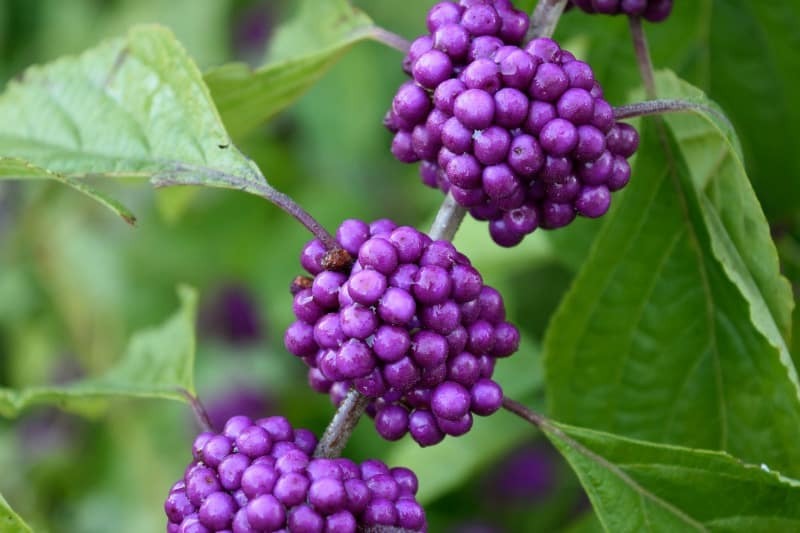 Just a few beautyberry bushes can take up quite a lot of space, as they can grow as high and wide as 10 feet. This deer proof shrub grows rather quickly and seemingly overnight. You should expect 12 inches to 24 inches of vertical growth per year. Beautyberries grow best when they receive a minimum of 4 hours of direct sunlight every day. Nice article, many of us struggle with deer’s eating habits, there are a lot of useful tips in here! Backyard Garden Lover Copyright © 2019.